In the long run, it's usually cheaper to buy things than to rent them, but sometimes renting is the better option. Maybe you only need a tool for one job, or you'd like to try something out before you buy it. Or perhaps you don't have room in your garage for anything else. If that's the case, you'll want to check out this list of things that you probably didn't know you could rent. 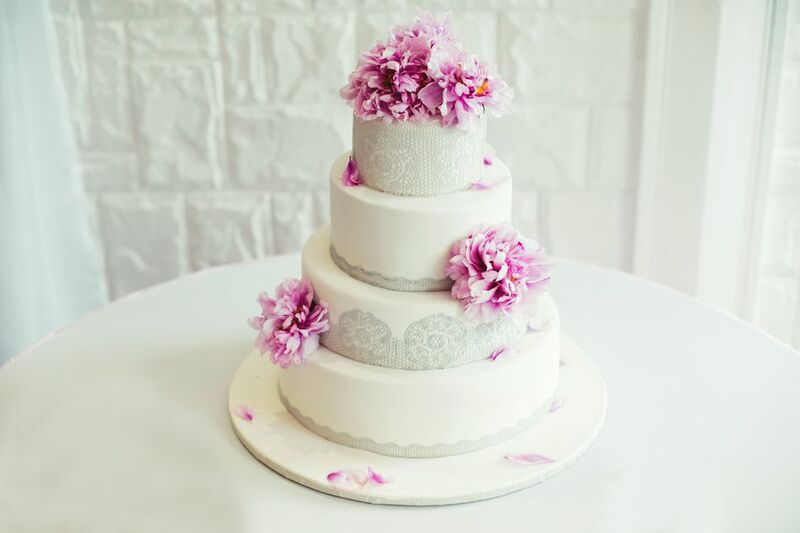 Wedding cakes can cost hundreds or even thousands of dollars. If that's not in your budget, consider renting a fake cake from a company like cakerental.com. They create gorgeous multi-tiered cakes from Styrofoam. Then, decorate them with fondant, so they look just like the real deal. There's even a hidden cut out in the back where you can stick a slice of real cake, so you still get your cake-cutting and first-bite pictures. Take your cake to the kitchen for "slicing" after you've gotten all your shots. Then, bring back slices of sheet cake for your guests. Sheet cake is loads cheaper, especially when you have a crowd to feed. Have your baker match the icing on both cakes, and your guests won't even notice the swap out. According to the FTC, a casket is the most expensive part of planning a funeral, with the average casket costing $2,000, and some costing as much as $10,000! Save money by renting a fancy casket for the funeral. Then bury your loved one in a simple box. Rentals can cost less than $1,000, so it's something to consider. It may even be something to discuss with your loved ones in advance, so everyone knows the plan and is comfortable with it when the time comes. Driving around on bald tires is dangerous. If you need new tires, but you can't afford to replace them, renting may be something to consider. Renting tires will, no doubt, cost you more over the long haul than buying, but it'll get you the tires you need right away, so you aren't taking risks with your safety. And that's more important. Take a look at Rent A Wheel, if this is something you're interested in. If you'd like to convert to solar power, but you can't afford the cost of the panels and installation, there are companies that you can rent solar panels from. They come out and install the panels free of charge (or for a nominal fee), and they take care of any necessary maintenance and upkeep. In exchange, you either pay a monthly fee to lease the panels (and keep all the power generated), or you sign the power over to them with a power purchase agreement and purchase the power you need at a cheaper rate than your local utility company would charge. Thinking about getting a backyard flock, but worried you wouldn't enjoy raising chickens as much as you think you will? Before you spend money on a coop and commit to caring for a bunch of new pets, rent a flock to see if chicken keeping is for you. Companies, like Rent the Chicken, will set you up with hens, a coop, plus all the food and supplies you need to get started. If you fall in love with your chickens, you can adopt them. If you don't, they'll come to pick them up at the end of the rental period. Have a bunch of land, and sick of keeping it mowed? Instead of hiring someone else to do the job, just rent some goats. They're cheaper than a lawn mowing service, and they're great for eliminating invasive plants, like kudzu, ivy, thistle and poison oak. There's very little that a goat won't eat. Check out Rent a Goat, for pricing information, or see if a similar service is available in your area. Luggage takes up a ton of space when you aren't using it. Keep your garage cleared out by renting, instead of buying. Sites like RentLuggage.com make it easy to pick out everything you need for an upcoming trip — suitcases, car top carriers, tents, specialty bags for sports equipment, etc. Then, they ship it to you well ahead of your trip, so you have plenty of time to pack. Look your best at weddings and black tie events, by renting the perfect outfit. Websites, like Rent the Runway and Style Lend, allow you to rent designer dresses at a fraction of their retail price. You get to chose how long you need to keep it, and there are lots of options in the $50 range. And if you need shoes or a hanging bag to go with your dress, there are rental options for that, too. Check out Bag Borrow or Steal and Village Luxe. For guys, there's The Black Tux. They rent designer tuxedos, ties, shoes, and all the accessories. Tuxedo rentals start at $95 and are a big step up from what you'll find at your local rental shop. Renting a storage unit is pricey, and it can be a pain to access your stuff when you need it. If you've maxed out your available storage space, see if you can rent space from one of your neighbor's. Websites, like StoreWithMe and Store at My House, make it easy for people to list their extra basement, shed, garage and attic space. Renting from a neighbor is usually cheaper than renting from a storage facility, and it could allow you to keep your stuff closer to home. Don’t let a lack of yard keep you from gardening. Find a community garden where you can rent a plot. Then, get your hands in the soil. Since you'll have to travel back and forth to care for your plants, make sure you pick somewhere that's convenient to your home or office. Some community gardens charge a nominal fee; others require you to help with the upkeep of the garden. Rent flowers or plants for special events, instead of paying big bucks for floral arrangements. You can even rent full-size trees if you need to create a temporary privacy screen or backdrop. This is an excellent option for weddings and parties. Everything arrives looking perfect and gets picked up after your event, so you don't have to do a thing. 800 Plant It ships plants anywhere, though you may be able to find a local company that offers plant rentals. Celebrities rent or borrow bling for big events, and you can too. Use a site like Adorn and Haute Vault to rent diamonds, high-end watches and more. For a couple of hundred bucks, you can borrow the kind of jewelry that most people could only dream of owning. Exploring a new sport? Rent the equipment you need, until you're sure you're going to stick with it. This will save you from accumulating a bunch of expensive dust collectors, and give you time to figure out what you need. It can also be a smart move to rent sports equipment for kids since they outgrow it so quickly. Play It Again Sports is one option worth checking out. They're a big chain with locations all over the U.S.
Have Something Else You'd Like to Rent? Check Loanables and Facebook to see what's available in your area. These days, you can rent just about anything you need. So, it’s worth exploring your rental options before you plunk down your hard-earned money on some item that you may only use once. Save your money and your space for the things that you’ll use over and over again. Rent everything else.